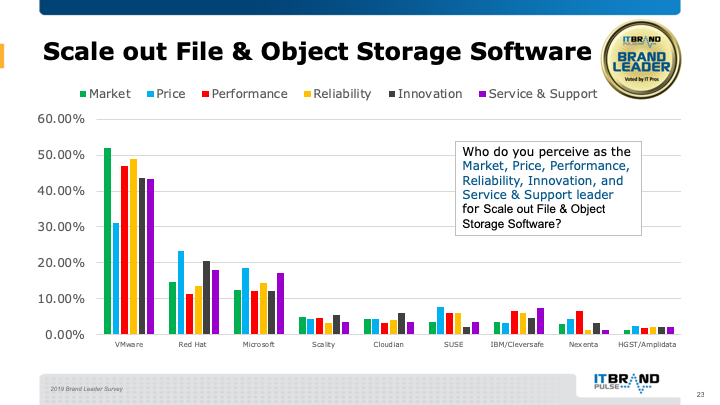 Scale-out File & Object Storage Software: Software which runs on standard servers and for scale-out file and object storage. In this new survey category, VMware surpassed the competition in all segments chosen as the overall Market, Price, Performance, Reliability, Innovation, and Service & Support leader. Red Hat finished as second Market leader, then Microsoft.